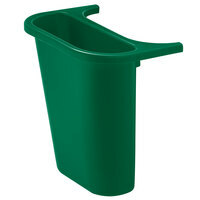 Equip your kitchen with a green waste can to offer employees a convenient location for waste disposal. 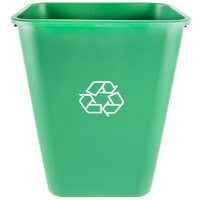 Use the green color of these wastebaskets as a part of your color-coded system. 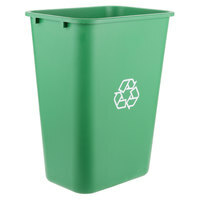 For example, place a green wastebasket in your commercial kitchen as a designated location for staff to dispose of produce and food scraps. 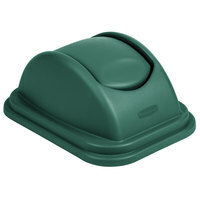 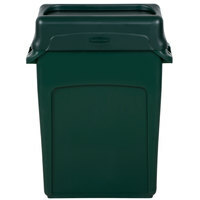 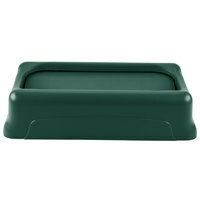 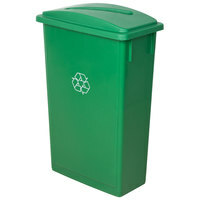 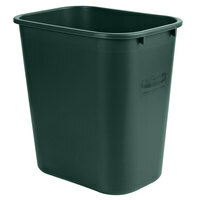 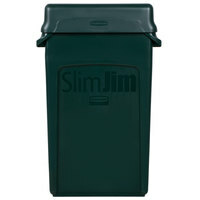 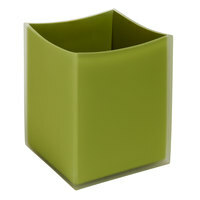 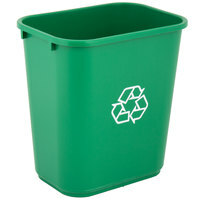 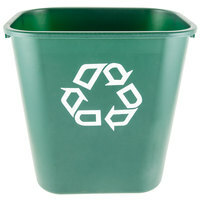 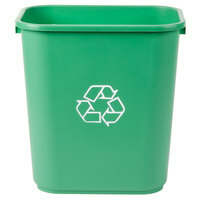 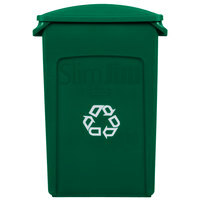 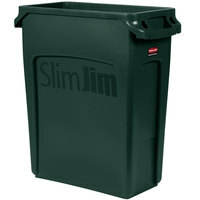 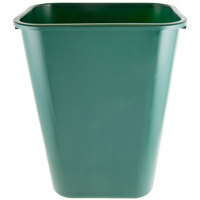 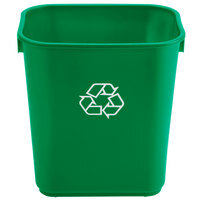 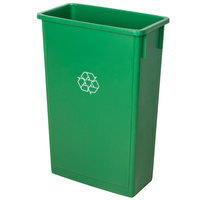 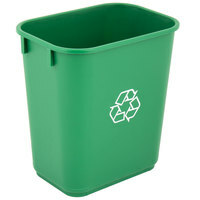 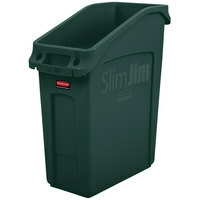 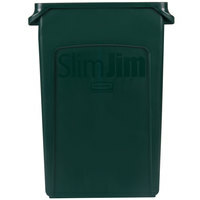 These green wastebaskets come in a variety of sizes and styles to best suit your needs. 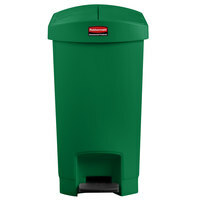 To promote environmentally friendly practices, equip your waiting room or office space with a green trashcan featuring a white recycle symbol on it to encourage employees to recycle. 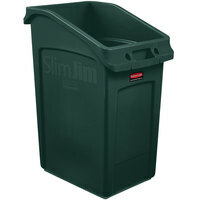 To reduce the spread of germs, we even offer hands-free wastebaskets with self-closing lids. 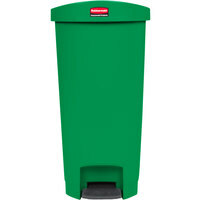 Ensure your building is properly equipped with the right janitorial supplies including laundry carts, wet floor signs, and all purpose cleaners. 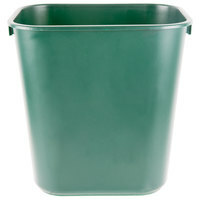 If you're wondering where to buy green wastebaskets, we have a large selection of green wastebaskets for sale at the lowest prices.